Kids get so excited by bubbles. But if your kids are anything like mine, after about ten seconds, the entire bubble container either gets spilled or dumped out on the ground – Or in the rare case… in the living room – ugh! Over the weekend, we were at the birthday party of my cousin’s little girl, and I saw the bubble light! I cannot even explain how excited I was to see… Fubbles. I have three kids – How had I not heard of these before?! I just had to share this amazing product with you guys. 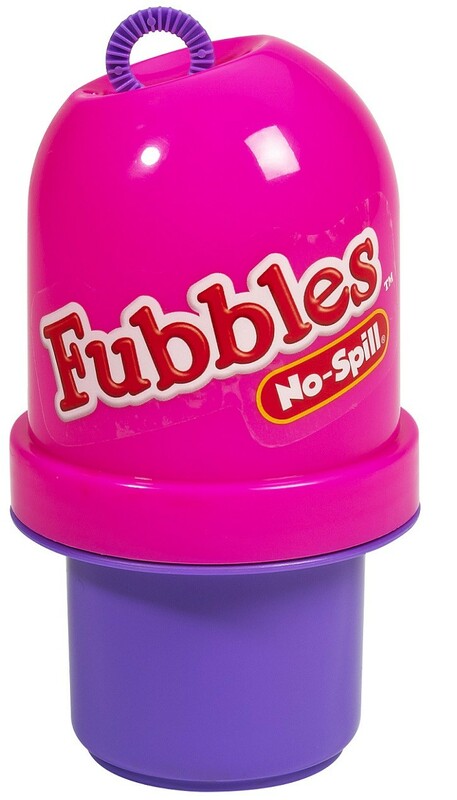 Fubbles are no-spill bubbles. You may be thinking “yeah right.” I know, that was my first thought. as well. BUT, when my three-year old turned the entire bubble container upside down and not a single drop came out, I was sold. 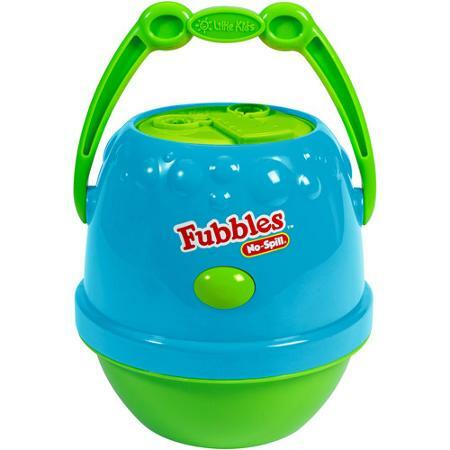 You simply pour some of the bubble solution into the Fubble dispenser base, screw the lid on, and you’re all set for a mess-free bubble session. Fubbles come in a mini size for extra small hands (or for party favors! ), a larger size, a bubble bucket, and even in a bubble machine option, as well as a few other varieties. The kids love the bright container colors, and the parents love the no-spill feature. It’s a win-win. A tip: Try not to vigorously shake the bubble bottle, or the resulting foam may make it difficult for the bubbles to come out. Again, not something I would normally do, but clearly this is normal for a three-year-old!